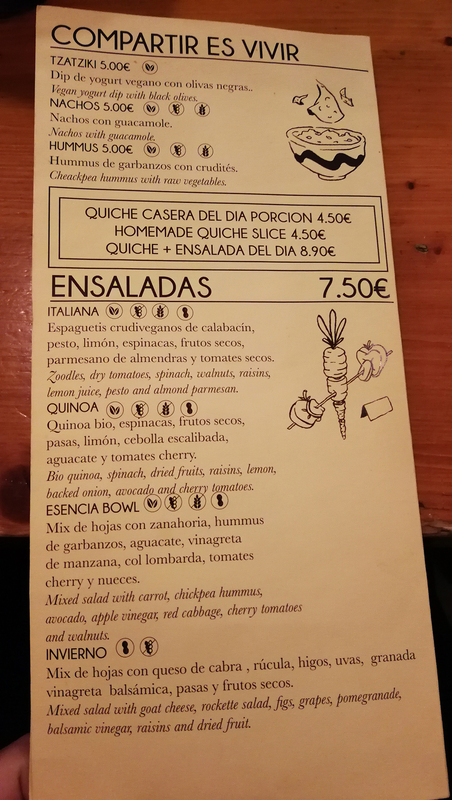 Quinoa is a quirky vegetarian spot located on Travesera de Gracia, one of Gracia’s most well known streets. It’s a small but very welcoming place where you can find lots of fresh salads, meat-free sandwiches and also a variety of drinks and desserts. We went on a Tuesday night with our argentinian friend Pablo to grab some quick dinner and it turned out to be a good choice. Type of food: Quick vegetarian. 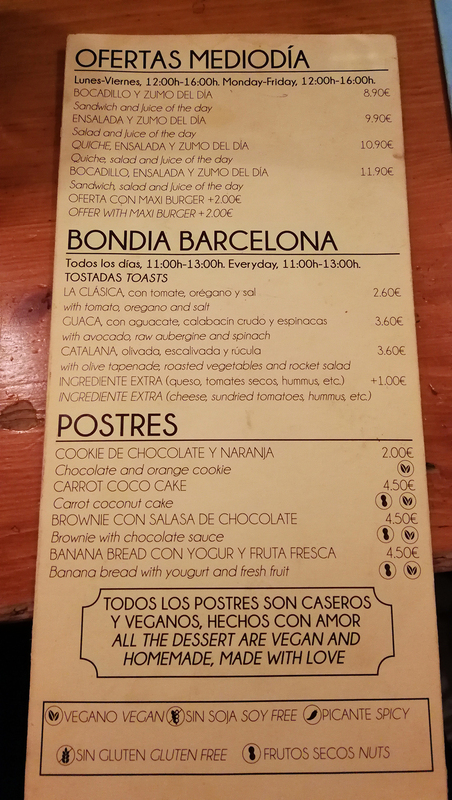 Address: Travessera de Gràcia, 203, 08012 Barcelona. 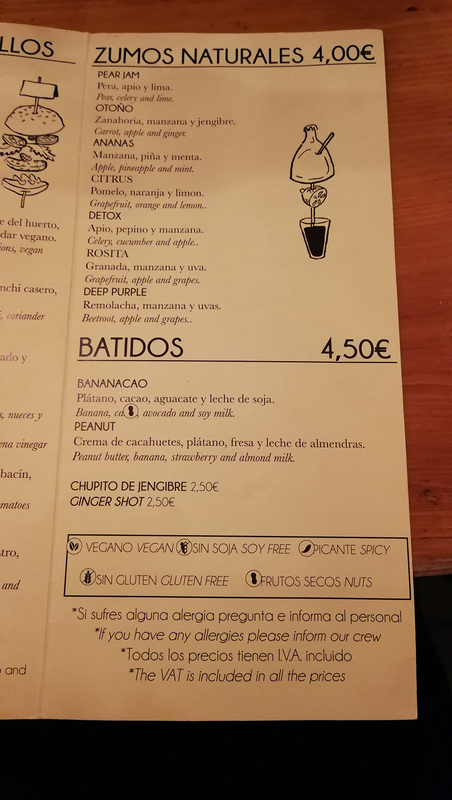 Online menu: Not available, but we have pictures of it. 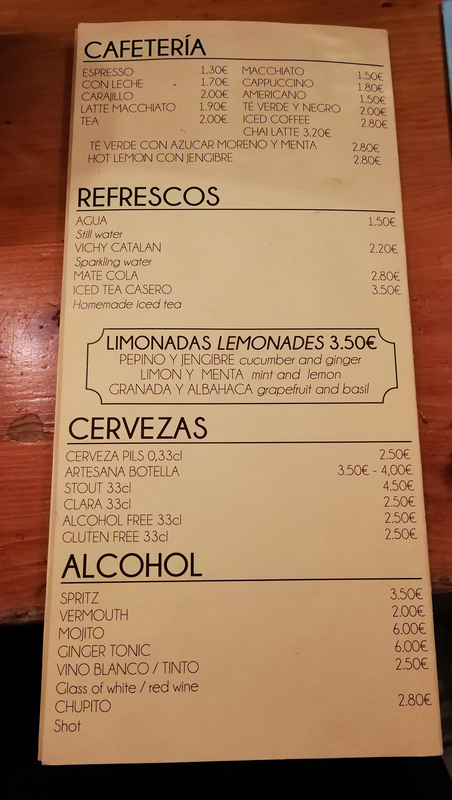 Menu 1, Menu 2, Menu 3, Menu 4, Menu 5. Vegetarian, Vegan or Gluten-free options: All available. Type of atmosphere: Casual, warm, young crowd. Type of meal: Quick dinner. 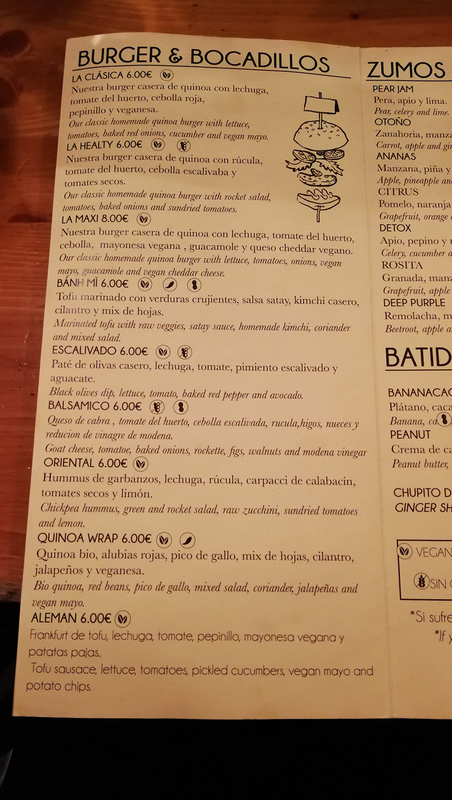 “For an Argentinean vegetarian who is traveling in Europe, finding a place like this can be an oasis among all the few options available in Argentina and in Barcelona when it comes to restaurants without animal meat.